30th Anniversary Annual Plant Sale! To celebrate our 30th Anniversary we brought back 30 of our favorite plants available at the first sale 30 years ago! Ask our Master Gardeners about them at the Plant Sale. Think Spring! Shop our plant sale! 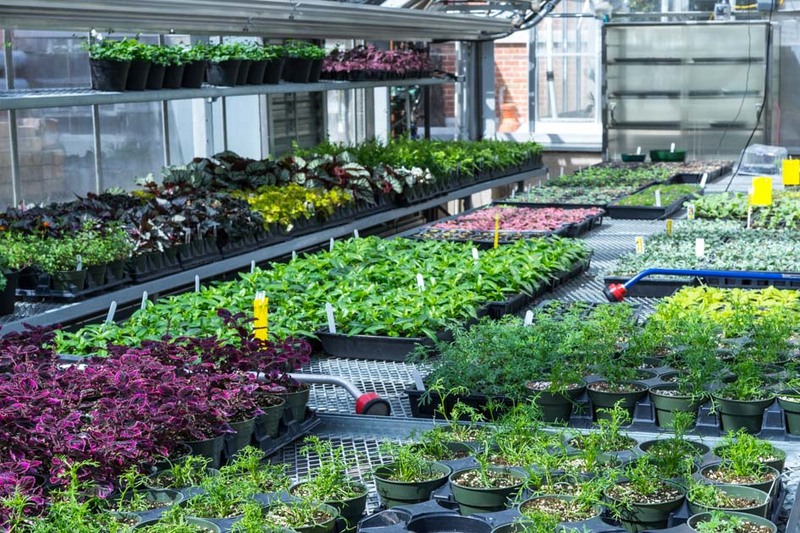 The 2019 Plant Sale catalog is available HERE. A printable shopping list can be found HERE. We have over 150 varieties of flowers, herbs and vegetables! To celebrate our 30th anniversary we are offering FREE Learn and Grow lectures every Thursday night in April at 7 pm at the Conservatory. Although the lectures are free and open to the public, attendees must register here. Members shop early at the Members’ sale and have the option to preorder online! Become a FOPCON member and shop early at the Members’ sale or pre-order online and pick up your plants on Friday May 3rd starting at 1 pm. Members’ only shopping begins at 2 pm. Join and you will receive the pre-order link. Go to Join FOPCON to become a member. Presented by the Friends of the Oak Park Conservatory and the Park District of Oak Park who is a great partner to the Friends.